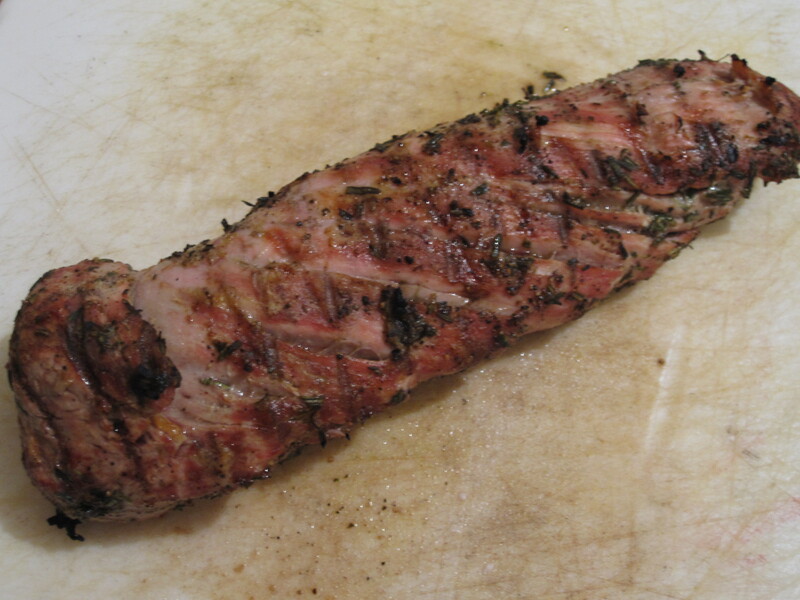 I had a pork loin and some rosemary which is a combo that I fancy and also wanted to grill it while the weather was still so mild. We also had some French breakfast radishes which I had never seen before to my knowing. I kept the pork on the upper shelf of the grill and it seared and charred well while not cooking to quickly and drying out. The radishes were sauteed and cheesed. Sticking with the fall theme, I cooked down an apple cider sauce that was used like a dipping au jus. We and especially I never make desserts so this is a real rarity. I love oreos and would say they are my favorite manufactured cookie so the cookie sandwich idea is a big hit with me. 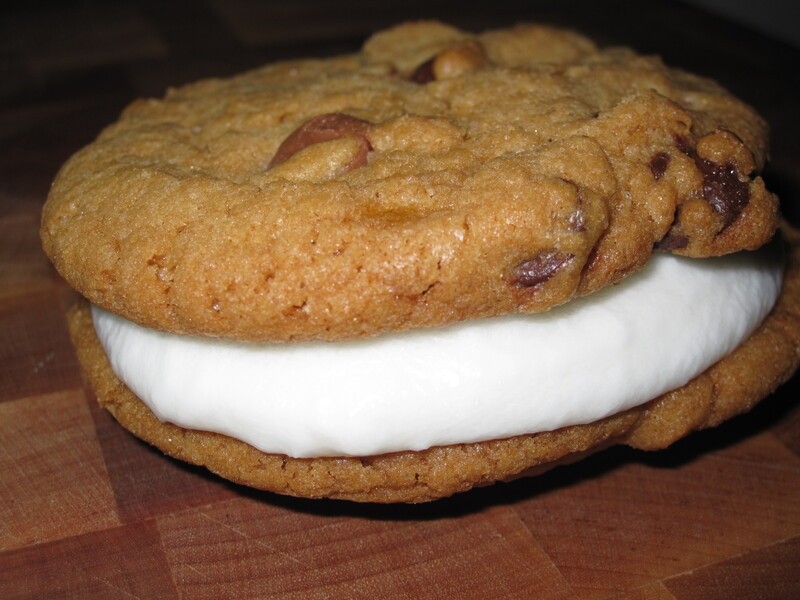 I also love the ice cream cookie sandwiches that look like this. I knew I wouldn’t be able to reconstruct oreos and am always a sucker when I see cookie sandwiches at street table bakeries like the ones they have set up in the Strip on weekends. The cookies or icing were not too difficult to make, but I was a little slow since I don’t have much experience in baking. This was a good indoor winter dish that sort of reminds me of summer a bit. It was doable on a weekday in about 2 hours and well worth it. 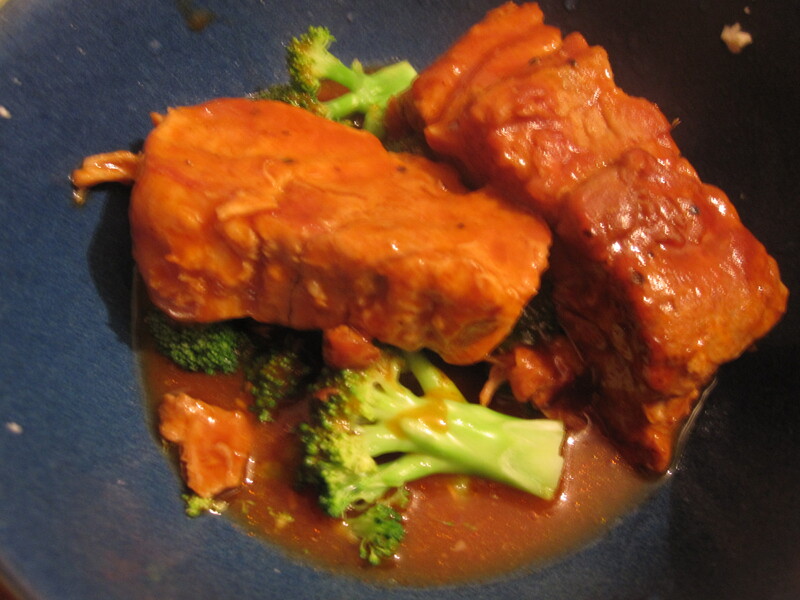 The meat was soft and flavorful and didn’t need a lot of attention to make.